This film is part of our Silent Gems Collection and the DVD is available on Ebay. This film is on DVD "Robert Harron Rare Shorts". 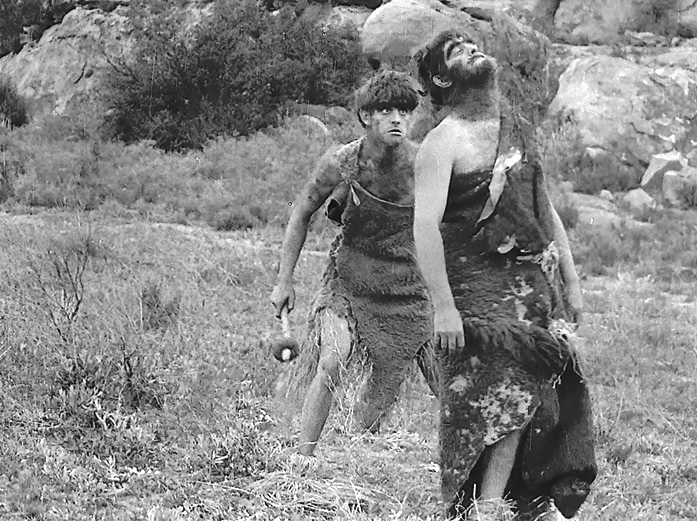 "Man's Genesis", A Psychological Comedy Founded on Darwin's Theory of the Genesis of Man, is a short prehistoric drama, included in our program to illustrate the work of two of our stars: actor Robert Harron and cinematographer Billy Bitzer. 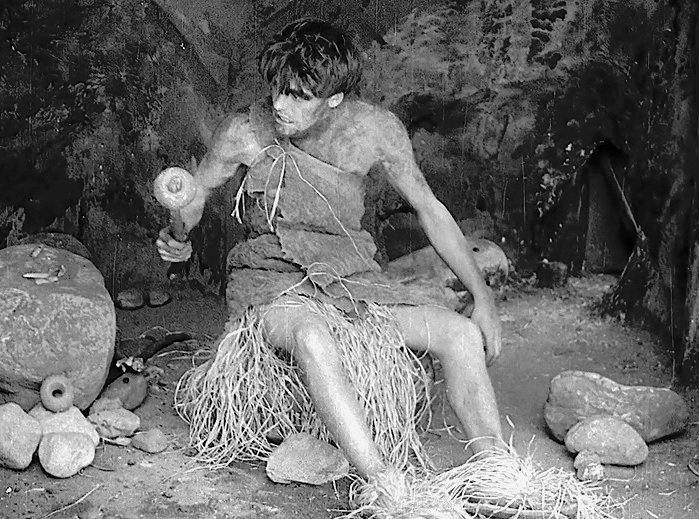 Weakhands (Robert Harron) is not popular with the prehistoric ladies in an epoch of human history when only strong muscles decide social hierarchy. He is constantly bullied by Bruteforce (Wilfred Lucas), who enslaves his girlfriend Lilywhite (Mae Marsh). Weakhands is left alone in his cave, but his superior brain produces a weapon, which turns his fortunes around. 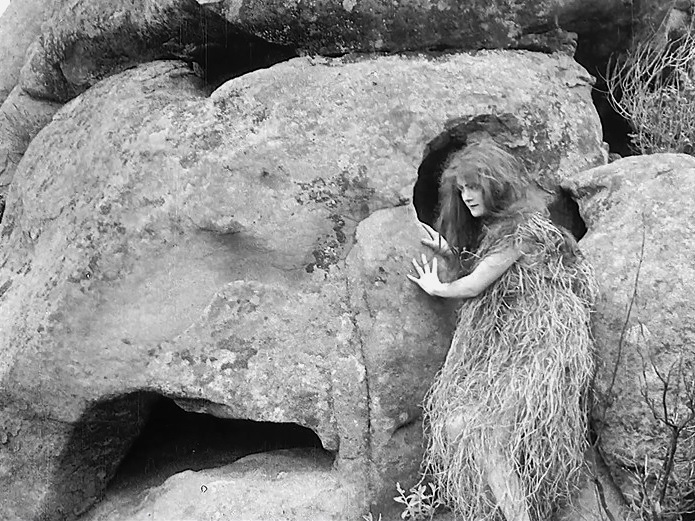 Mae Marsh emerges from the cave in "Man's Genesis" (1912), directed by D. W. Griffith, cinematographer Billy Bitzer. Mae Marsh shows Robert Harron some affection in "Man's Genesis" (1912), directed by D. W. Griffith, cinematographer Billy Bitzer. 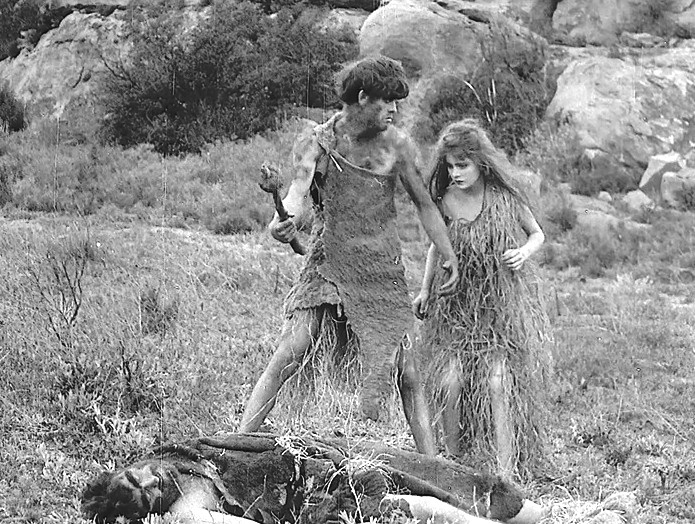 Robert Harron looks at Mae Marsh with a feeling in "Man's Genesis" (1912), directed by D. W. Griffith, cinematographer Billy Bitzer. Robert Harron watches his girlfriend affectionately in "Man's Genesis" (1912), directed by D. W. Griffith, cinematographer Billy Bitzer. Wilfred Lucas explains to Mae Marsh how much he likes her in "Man's Genesis" (1912), directed by D. W. Griffith, cinematographer Billy Bitzer. 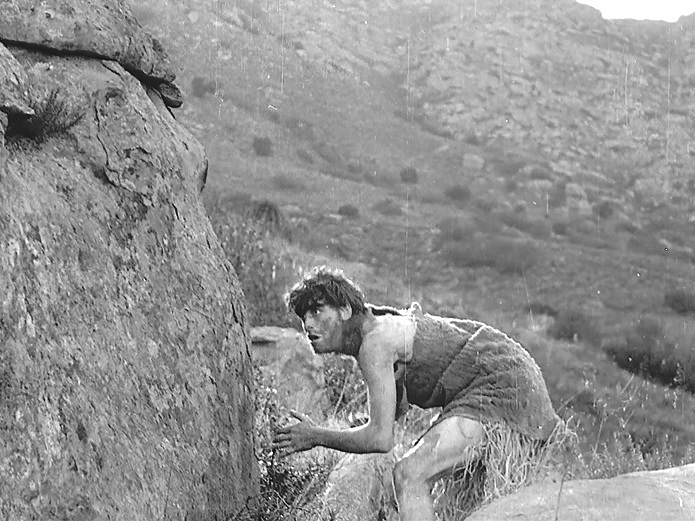 Robert Harron sees Wilfred Lucas trying to steal Mae Marsh in "Man's Genesis" (1912), directed by D. W. Griffith, cinematographer Billy Bitzer. Robert Harron confronts Wilfred Lucas over Mae Marsh in "Man's Genesis" (1912), directed by D. W. Griffith, cinematographer Billy Bitzer. 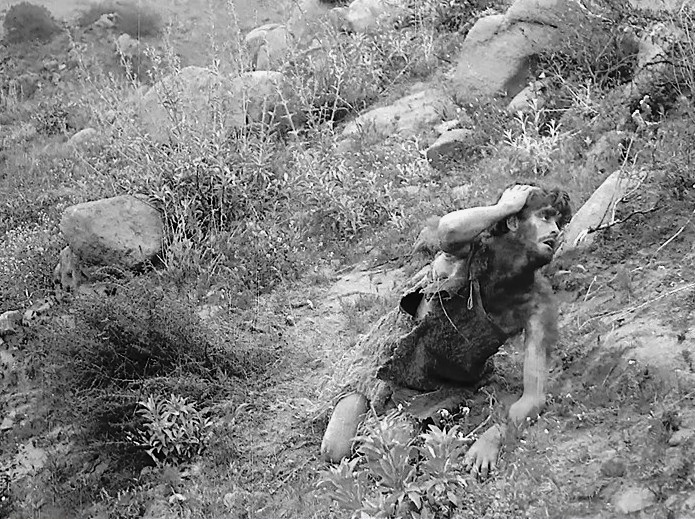 Robert Harron gets beaten as usual in "Man's Genesis" (1912), directed by D. W. Griffith, cinematographer Billy Bitzer. 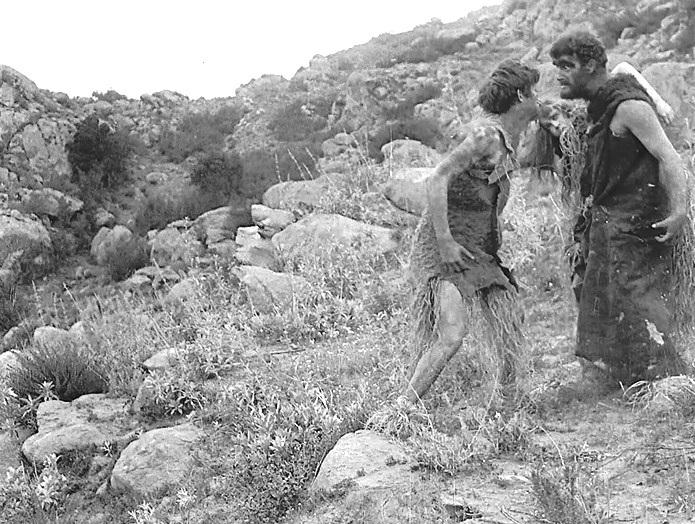 Wilfred Lucas tells Mae Marsh "you will either be mine or nobody's" in "Man's Genesis" (1912), directed by D. W. Griffith, cinematographer Billy Bitzer. 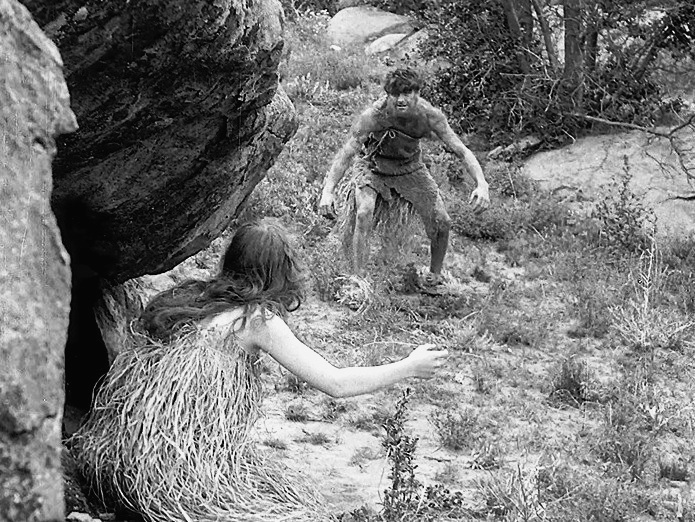 Robert Harron attempts to win back Mae Marsh in "Man's Genesis" (1912), directed by D. W. Griffith, cinematographer Billy Bitzer. 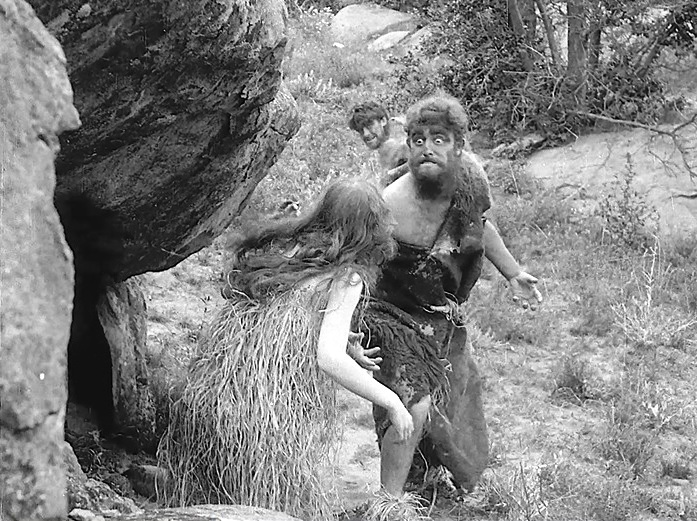 Wilfred Lucas disciplines Mae Marsh and chases away Robert Harron in "Man's Genesis" (1912), directed by D. W. Griffith, cinematographer Billy Bitzer. 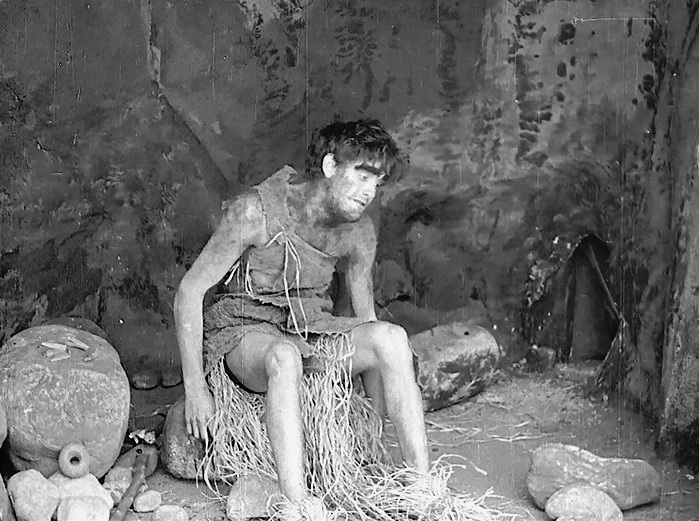 Robert Harron is despondent as he sits alone in his cave in "Man's Genesis" (1912), directed by D. W. Griffith, cinematographer Billy Bitzer. 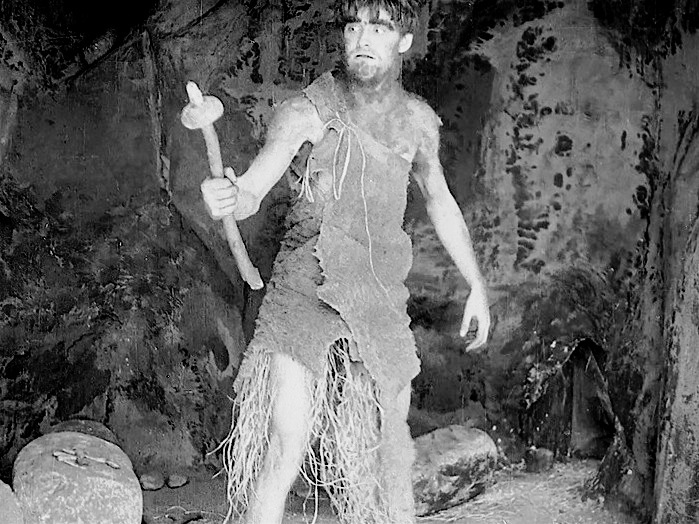 Suddenly Robert Harron invents a game-changing weapon in "Man's Genesis" (1912), directed by D. W. Griffith, cinematographer Billy Bitzer. 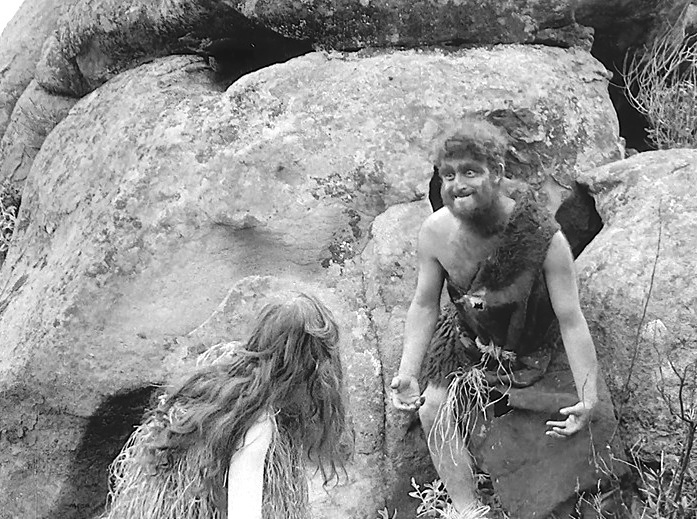 Robert Harron sees a brighter future in "Man's Genesis" (1912), directed by D. W. Griffith, cinematographer Billy Bitzer. 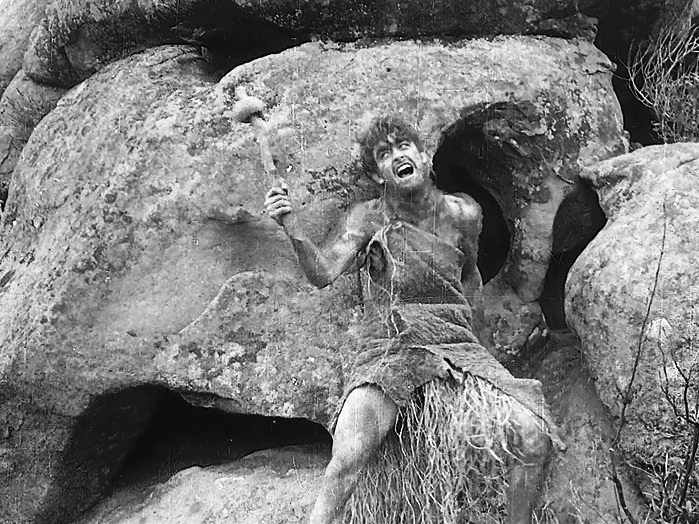 Robert Harron is emboldened by his groundbreaking discovery in "Man's Genesis" (1912), directed by D. W. Griffith, cinematographer Billy Bitzer. 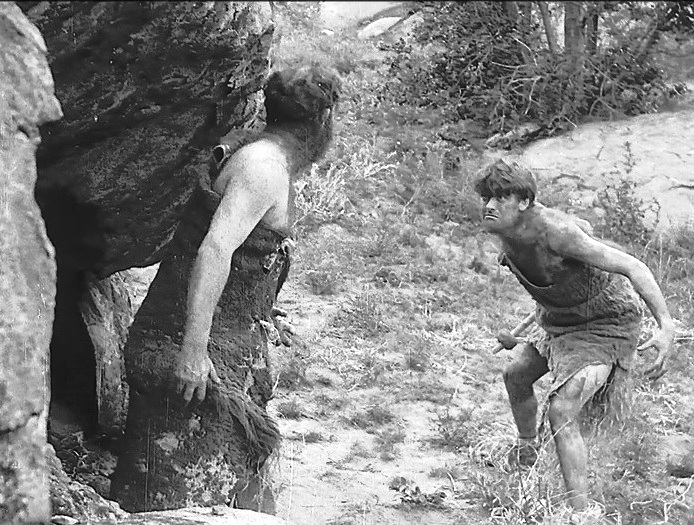 Robert Harron challenges Wilfred Lucas to a fight in "Man's Genesis" (1912), directed by D. W. Griffith, cinematographer Billy Bitzer. 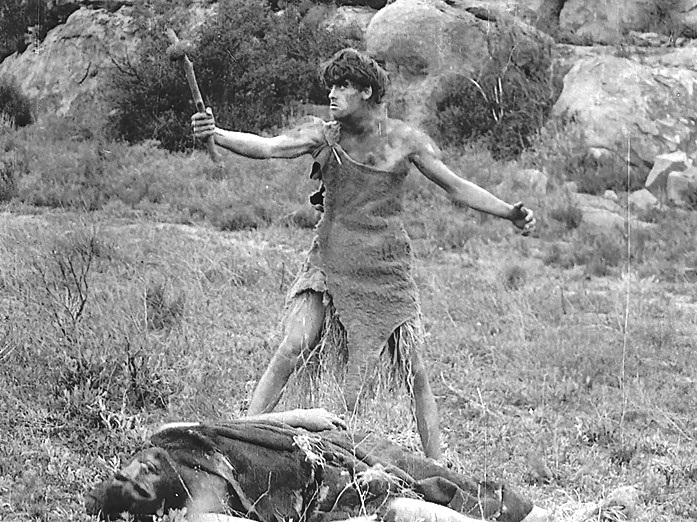 Robert Harron delivers the final blow to Wilfred Lucas in "Man's Genesis" (1912), directed by D. W. Griffith, cinematographer Billy Bitzer. 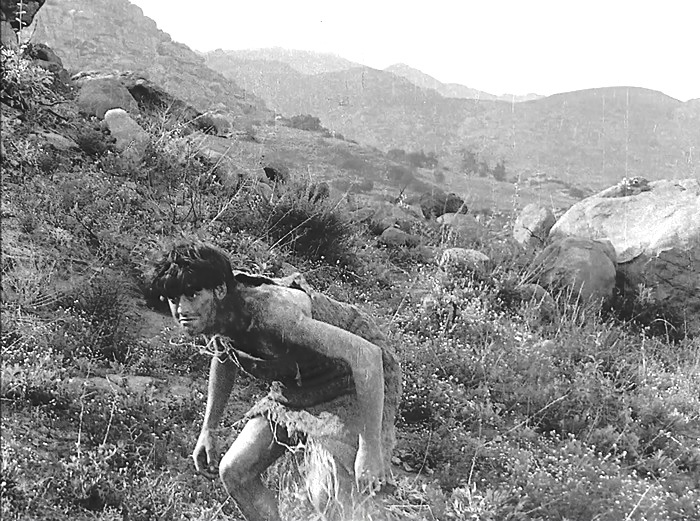 Robert Harron stands victorious by his vanquished nemesis Wilfred Lucas in "Man's Genesis" (1912), directed by D. W. Griffith, cinematographer Billy Bitzer. Robert Harron celebrates victory as Mae Marsh looks at his fallen opponent in "Man's Genesis" (1912), directed by D. W. Griffith, cinematographer Billy Bitzer. Robert Harron and Mae Marsh marvel at his wonder weapon in "Man's Genesis" (1912), directed by D. W. Griffith, cinematographer Billy Bitzer.